1. 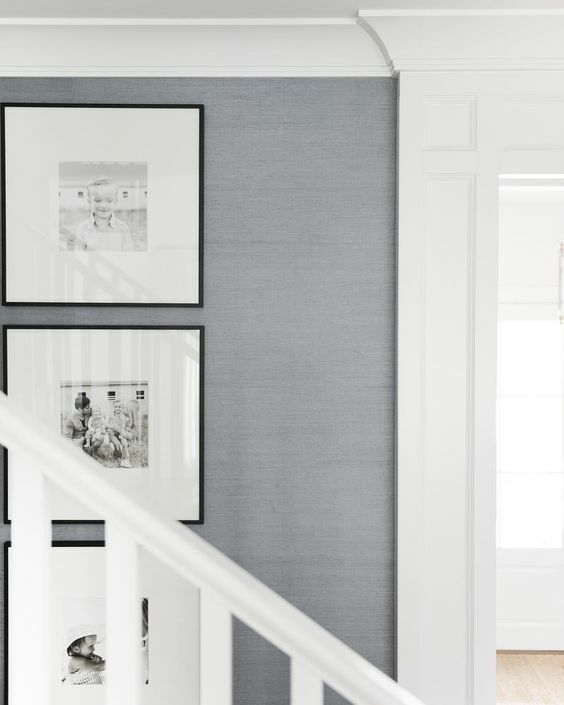 I'm such a fan of grasscloth wallpaper. It's subtle, but adds a lot of texture and interest. 2. I promise we are not turning into a food blog, but Aymee and I are both total foodies. Which means we geek out on pretty food and drinks. We both feel better when we cook healthy, and when we come across a healthy new recipe (that's easy... that's key), we have to share it! Here's one I came across this week... Soft Boiled Eggs. You guys, my mind and tastebuds are blown. I came across a post by one of my favorite follows @myfreedombell (a food feed on instagram), and she shared a recipe for soft boiled eggs (here). I added brown rice, sautéed mushrooms and kale, avocado, and of course... "Everything But the Bagel" seasoning from Trader Joes. So delicious! 3. This week, Brad and I found out we are having a baby GIRL! To say I was shocked is an understatement. I really thought it was a boy, but I'm over the moon to have another girl! Here are a few things I've already purchased for her... I know, I need to chill... but, baby girl stuff is way too cute (1, 2, 3). Here are a few things I have my eyes on (1, 2, 3). 4. We installed the Schneider Kitchen/Living Space on Monday! It was so much fun to see this project come together. Stay tuned for next week, we'll be sharing all of the before and afters (which you guys went CRAZY over on instagram). Can I just say that we are so appreciative of every single "like" and comment you guys send our way? It means so much to us, so thank you!!! 5. On install days, it's inevitable that we have to run out and grab a few things to finish a space. Some things we always end up picking up are planters, vases, coffee table books, plants, and pillows. Here are a few of my favorites (1, 2, 3, 4, 5, 6, 7, 8).